The Town of Summit lies 20 miles west of Milwaukee, Wisconsin on the western edge of Waukesha County. 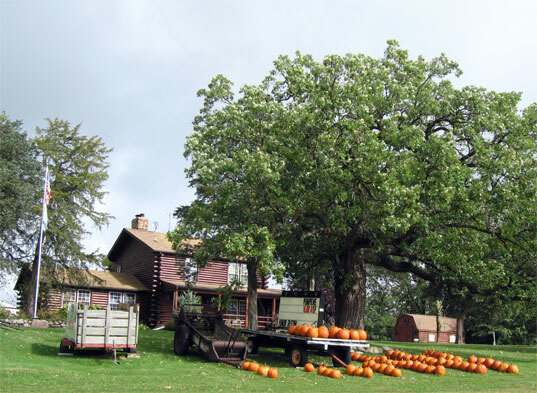 Like much of southeastern Wisconsin, the Town’s rural areas consist of farms interspersed with lakes, wetlands and wooded hills formed, in part, by glacial activity. Due to its natural beauty, this area is highly desirable for vacation homes, retirees and those who can tolerate the commute to job sites in Milwaukee. The Town of Summit, in Waukesha County, Wisconsin uses TDR to preserve farmland and environmental areas. Zoning studies prepared in 1979 recommended that the Town adopt a TDR ordinance to compensate the owners of land restricted to lower maximum densities. The ordinance that resulted from this recommendation is designed to preserve farmland and environmental areas without changing the overall population density established by the zoning code. Transfers can only occur between parcels in residential or agricultural use districts. However, up to 20 percent of the sending and/or receiving sites can be zoned Wetland-Floodplain and be counted at the average density established for the non-wetland/floodplain portion of the receiving site. Sending sites must transfer all development rights. However, on tracts of over 20 acres, a single principal residential building existing at the time of transfer may be permitted as a continuing use. According to Betty Dow, Town Clerk, the TDR provisions have not been used for at least 12 years.